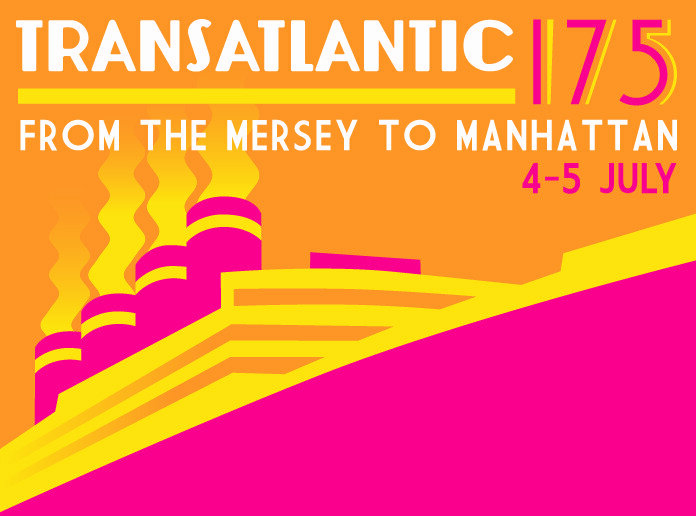 With Transatlantic 175, at HemingwayDesign we are pushing ourselves and bringing together so much of what we have learned in our design careers and have learned in putting on major events. The ambitious T175 weekend encompasses our long history of putting on catwalk shows at London Fashion Week with our first brand Red or Dead, only this time it’s over 200 times bigger with an attempt to wrestle away the world record for the most amount of ‘Models on a Catwalk’ from Mexico City. We are expecting over 5000 members of Liverpool’s diverse communities to take part in the Very Big Catwalk show on a gigantic catwalk in front of the Three Graces. Our increasingly varied events skills and our national network of specialist curators are brought together to deliver a version of our Vintage Festival. Vintage on the Dock has great DJ’s, quirky bands and street entertainment, workshops, talks, a marketplace and hair and beauty salon. Working with Food Curator Simon Preston, from our enormously popular Festival of Thrift, Eat the Atlantic is an intelligently conceived food festival featuring 20 handpicked street food sellers, an artisan food market, demonstrations, workshops and even fishing lessons in the magnificent Mersey. The Classic Car Cavalcade, brings together our extensive network of Classic Car Boot Sale vehicle owners to deliver 175 vehicular beauties that will cruise the city celebrating those 175 years of transatlantic travel. The Very Big After Party allows us to show off our long history in and knowledge of club culture with an enormous disco on the waterfront hosted by iconic local DJ Greg Wilson who is a scholar of the UK and America’s musical links. When the stunning Queen Mary 2 departs on that historic journey across the Atlantic from the Pier Head Transatlantic 175 will be giving her an aural, visual and pyrotechnic send-off that is sure to tug heavily on those heart strings. Finally we are drawing on our master planning and way finding skills to ensure all these elements hang together and bring Liverpool’s city centre waterfront alive in a serendipitous yet cohesive way creating a vibrant and diverse string of pearls that takes people on a FREE journey from Liverpool One across to the historic Albert Dock, Tate Liverpool, and the devoutly modern Mann Island and on to the grandeur of the Pier Head.